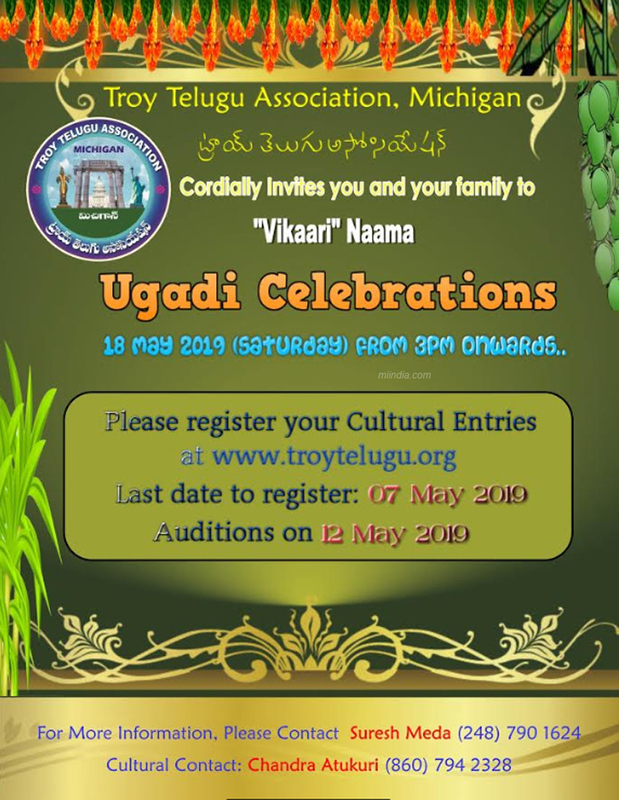 Troy Telugu Association, Michigan cordially invites you and your family to "Vikaari" Naama Ugadi Celebrations. Last date to register on 07 May 2019. Auditions on 12 May 2019.